Stay in a non-tourist area. Avoid staying near the main square, Piazza San Marco. We chose a sunny one bedroom air bnb (Tintoretto 4 with amazing canal views) in the Carnareggio. An area filled with local restaurants, bars, cafes, and shops. A short walk from the Alilaguna boat stop that delivered us directly from the airport (a consideration if you have luggage to carry over bridges). Dine Where Locals Dine. 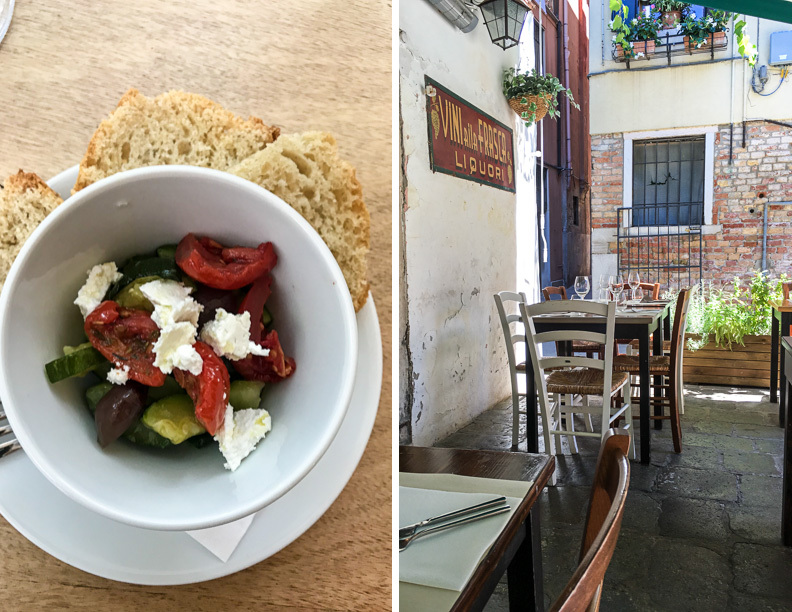 There is one blog you need for eating in Venice and that’s Naturally Epicurean by Nicoletta Fornaro. 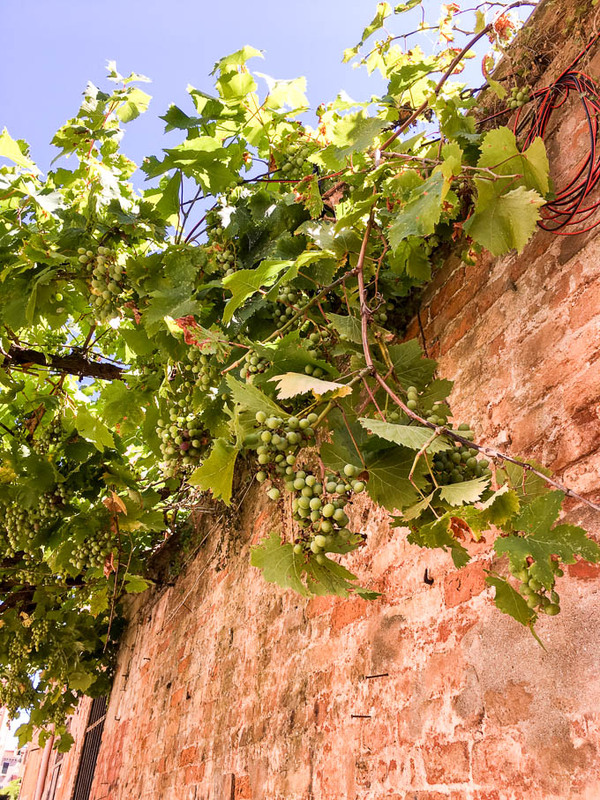 She is a Venetian gourmand whose photos, organization, and reviews are a game changer. Especially if you are vegetarian or vegan. Her insider recommendations are fantastic and we avoided all overpriced tourist traps. La Frasca – Several tables are set in a quiet “hidden” square. The owner serves fresh local food (mostly seafood), hand selected wine and fresh salad. La Zucca – Make a reservation in advance for this popular restaurant (they don’t accept emails either) but it’s worth it. Lots of vegetarian and vegan options. Casual, fun atmosphere and delicious food. Al Prosecco – a locals bar with a personable owner who will guide your selections. Delicious snacks too. Explore EARLY. 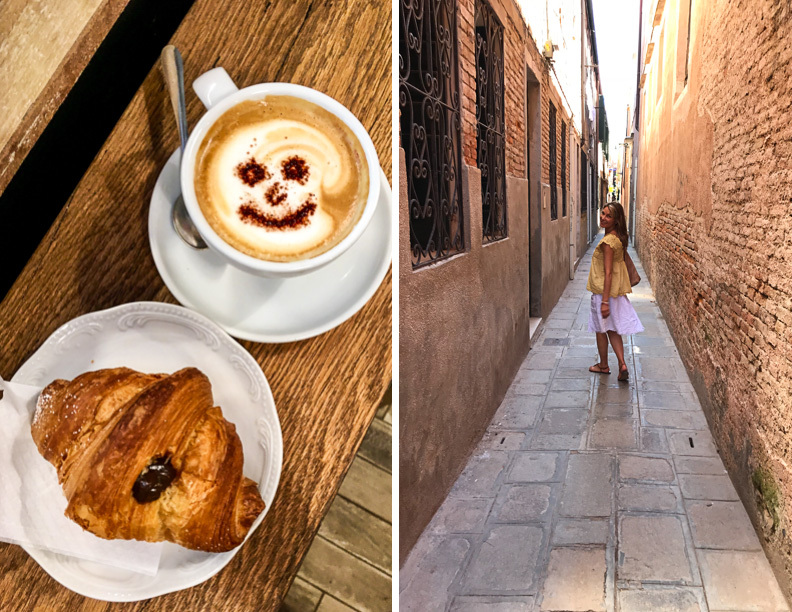 Getting out early is one of the best ways to avoid the crowds in Venice. Cruise ships dock mid-morning and thousands of tourists rush to popular sites like San Marco square or the Rialto Bridge to snap photos of themselves. The congestion is not fun. So, if you want to avoid crowds (like me), get out early and you’ll have the city to yourself. Go Off Season. 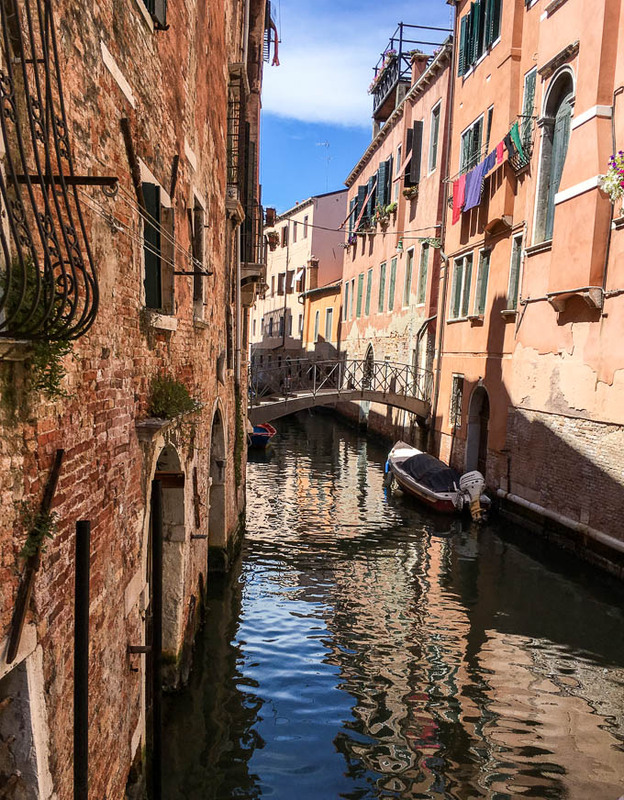 This is an obvious tip and I don’t know from personal experience but I imagine you’ll catch a glimpse of the “real” Venice. One that’s not overrun by mega cruise ships and mass tourism. La Serenissima meaning “most serene” is a popular nickname for Venice. With it’s car-free living, quiet canals, and peaceful history, Venice beats to the rhythm of it’s on drum. Now, mass tourism is destroying this precious city. I believe we should treat places graciously, like we are a guest in someone’s home. To my surprise, I feel in love with Venice. 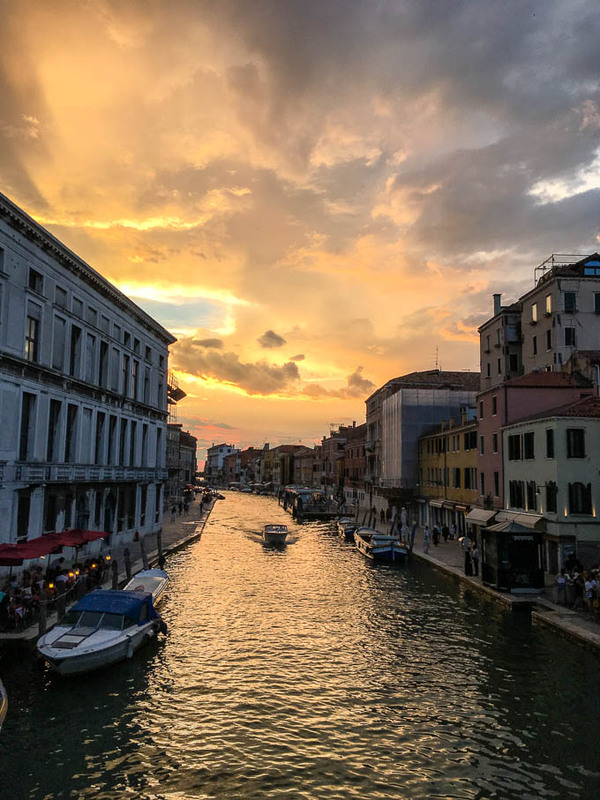 To really experience Venice, slow down. 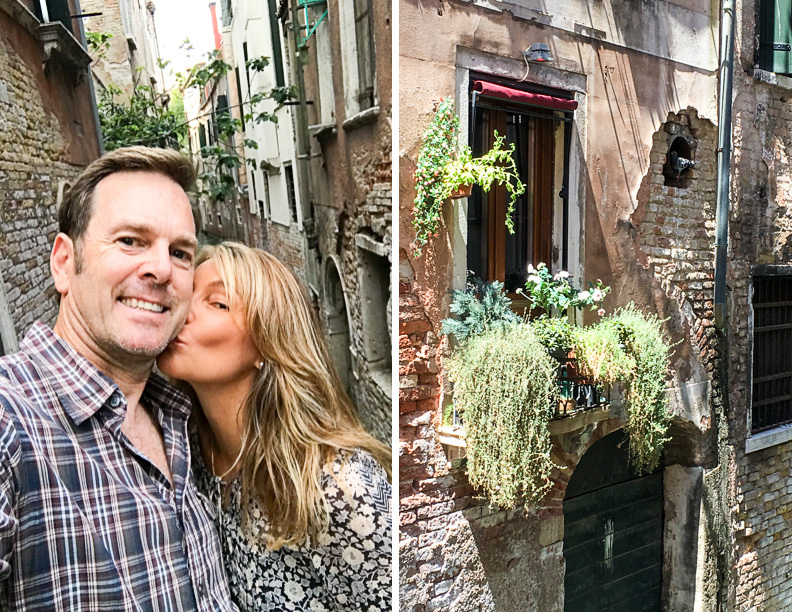 Stroll it’s maze-like streets, savor local wine, linger over lunch, chat with locals, stop for the sunset over the Grand Canal, and take in the luminous light of Venice.